Danny Tiatto has cultivated a controversial headline or two throughout his career, but the hardman showed his softer side this week when committing to a guest role with the Melbourne Knights. It’s a poetic homecoming for one of the club’s favourite sons in the dwindling twilight of his football journey. Tiatto trained for the first time back at the club’s Somers St stadium last night, 16 years after he first began to tear down its left wing as a plucky but determined 20-year-old. The Knights, of course, are now in the Victorian Premier League. But every fan ole enough will remember the National Soccer League title-winning seasons of 1994/95 and 1995/96 and the role Tiatto – with just a little more hair than he possesses today – played in the successes. Tiatto left for foreign shores after the latter season, beginning an overseas career that took in stops in Italy, Switzerland and England. It was with Manchester City from 1998 to 2004 when he made his name – predominantly as an attacking wing-back – helping lift the club from a third-tier side to an English Premier League outfit. 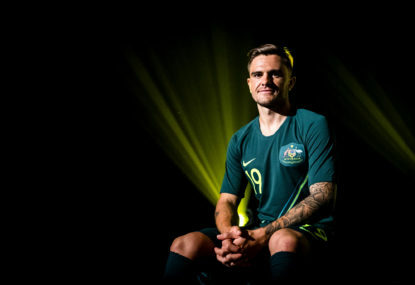 His efforts helped Tiatto became a fixture in Socceroos squads, and he was able to notch up 23 caps for his country. Of course, Tiatto’s dogged playing style helped him acquire a reputation as a hardman – one which was backed by a penchant for red cards. While none could fault his commitment to a cause, some questioned how far he was willing to go. 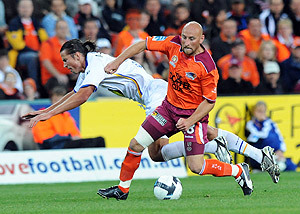 He finished his English stint with Leicester City before returning to Australia to sign with the Brisbane Roar in 2007. 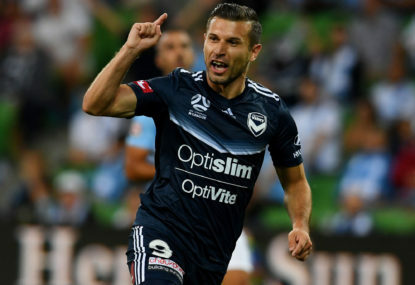 That relationship came to an end this season when Tiatto found himself one of the elder statesman frozen out of Ange Postecoglou’s bid to make his own mark at the club. The fall-out has been the Knights’ gain. Tiatto only returned to his native Melbourne 11 days ago. A casual catch-up with friends led to his agreement to pull on the Knights kit once again. He’ll do so as an amateur, playing for the club for nothing. When asked why he’d returned to Knights Stadium, the answer was simple – to “give back” to the club where he made his name. Like all footballers before, Tiatto has been judged by his actions on the field. The humility of this gesture should not go unnoticed, either. 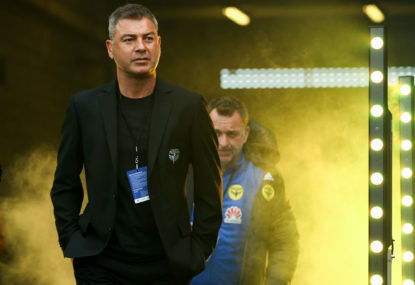 A-League action returns after an international break that has seen the Olyroos edge a step closer to qualification for the 2020 Olympics in Tokyo. 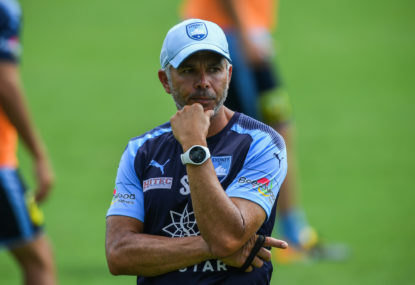 Two massive upsets dominate the A-League water cooler discussion this Monday morning. There are just two matches on the schedule to complete the split round that is Round 21. 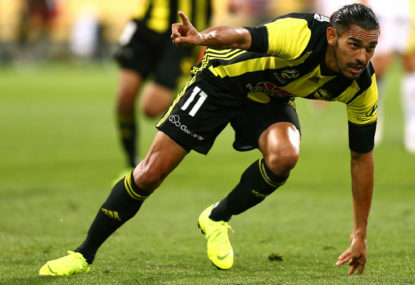 Last weekend began as predictably as many felt it would, with a win to Sydney leading into their Asian Cup Champions League fixture. When my former favourite player Adam Taggart left the Brisbane Roar to an unnamed Asian club, my immediate thoughts were “See you in 18 months Adam”.